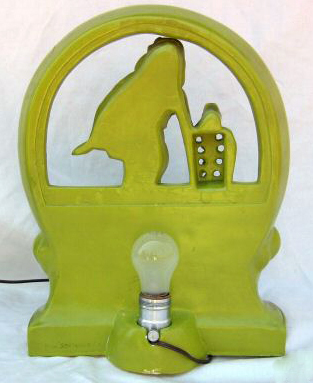 The only knowledge I possess regarding the Pittsburgh Statuary Lamp Company is that the name appears on chalkware TV lamps, and...er...they were undoubtedly based out of Pittsburgh! 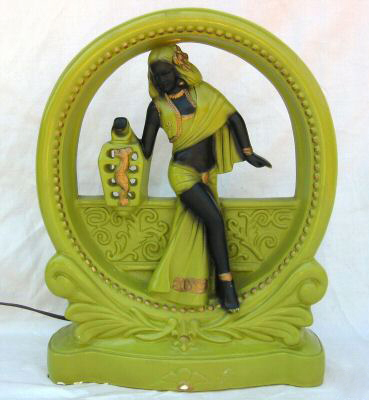 This exotic lady must have ruled proudly over a television back in the day! 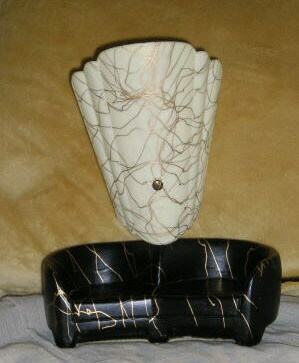 The marking on the back reads, PGH Statuary Co. Photos courtesy of noelmarie in Pittsburgh. Really now, what do you suppose they were thinking of when they designed this?! 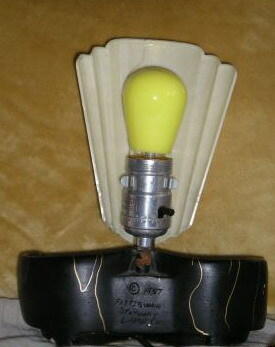 "Hey guys, why not focus in on the huge, untapped market for sofa lamps?" Actually, this was originally adorned by two seated oriental figurines. Photos courtesy of The2Gurlz, Haverhill, MA. Back view of the couch...at least the cat hasn't clawed it! 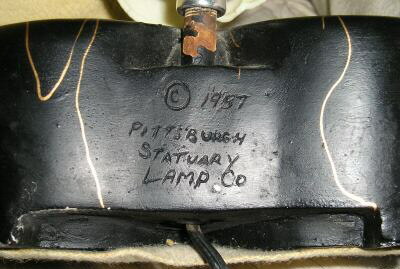 A close-up of the Pittsburgh Statuary marking shows a date of 1957.